The Holy Grail of creative marketing rests in the creation of indelible imagery. The Golden Arches or the Coca Cola logo are prime examples, and so too are the colourful characters that have followed many over the course of their entire lives. Beckoning from stacks of cereal boxes or spying out from confectionery counters are a cast of mascots that have gone beyond simple representative imagery and become part of the cultural zeitgeist. The refined Mr. Peanut. The Viridescent Jolly Green Giant. The rotund Pillsbury Doughboy (or Poppin’ Fresh if we’re being precise). The ever-competing Frankenberry, Count Chocula, L.C. Leprechaun and Snap, Crackle and Pop. And, oh yeah, who could forget The Kool-Aid Man. Everyone knows them. They’ve jumped from packaging to animated series, filmic references, and societal reference points. 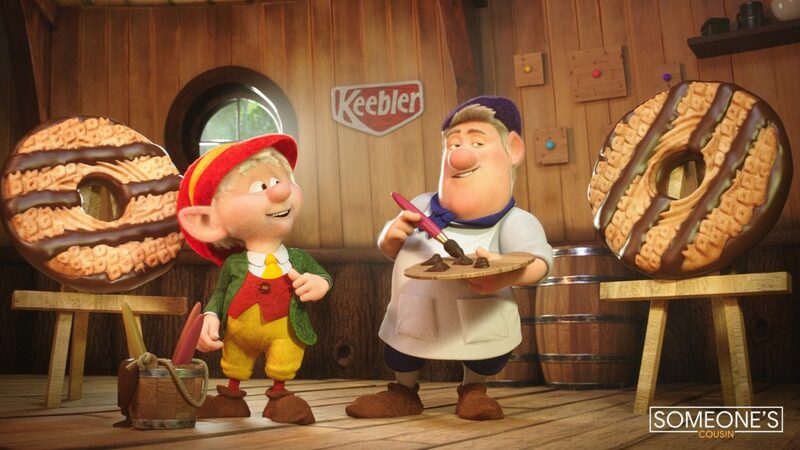 It is no easy task to create a character that goes on to enjoy such prominence in the everyday, but Keebler achieved it with their own mascots, the Keebler Elves, conceived by Leo Burnett Worldwide in 1968. 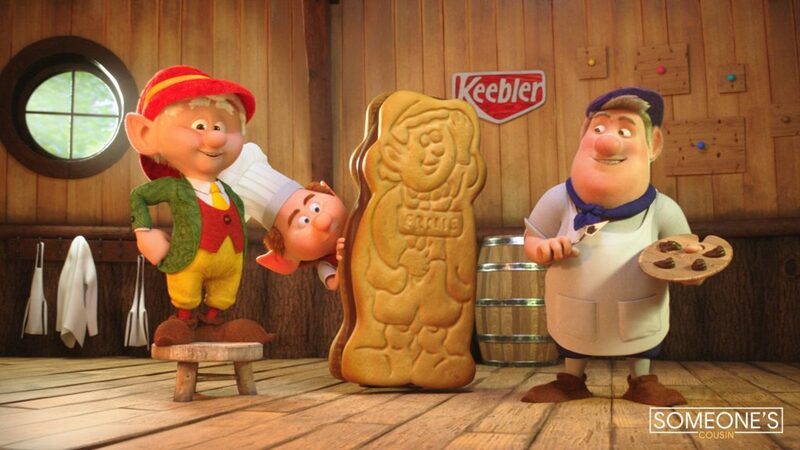 Keebler itself was founded in 1853 and is now the largest cookie and cracker manufacturer in the United States. Its cheery elves personify the product; Ernie, Ma, Elmer, Buckets, Fast Eddie, Roger, Zack, Flo, Leonardo et al have coaxed us from product packaging or leapt from our television screens for decades. 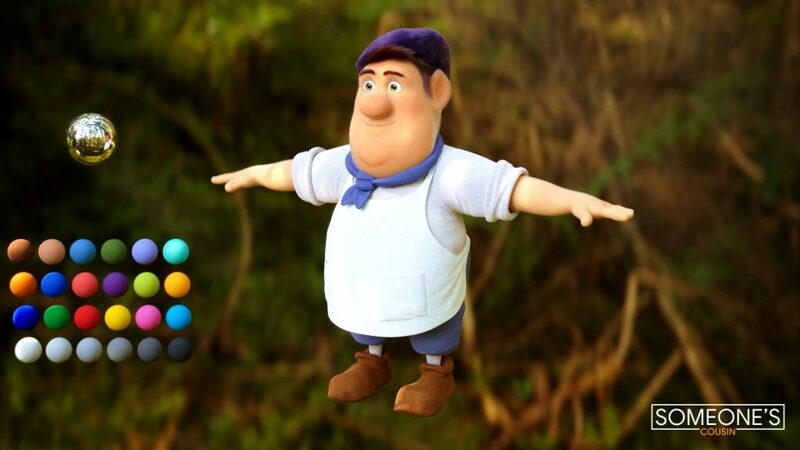 Re-imagining any established brand as an animator is an exciting proposition. But, when your brief requires you to do so for such a well-known, much-loved mascot, the task is loaded with a great sense of responsibility. 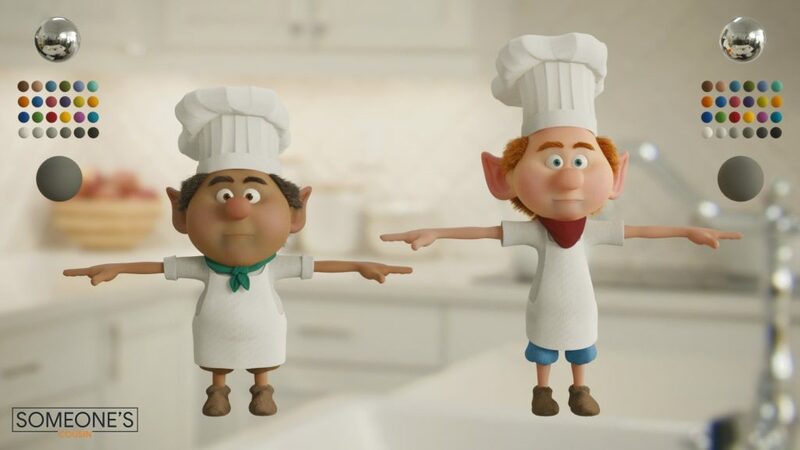 That’s what animation and VFX collective Someone’s Cousin found when asked to bring Keebler’s jolly mascots into the modern age. Frankie was on hand to pave the way to success. Someone’s Cousin is very much a studio born of today’s creative environment. It has no address, no lobby, no break room. Someone’s Cousin is a global company in the most real sense, with creatives collaborating across the planet using remote technology that enables cross-continent workflows – including Frankie. Before launching Someone’s Cousin, Johnson held positions at a number of Toronto studios over a period of two decades. He’s certainly well-versed in the world of mascots, having worked as animation director on high-profile consumer projects for brands like M&Ms and Pillsbury. However, Johnson wanted to escape the big city, and Someone’s Cousin was born. Fresh air and space seemed preferable to bricks and mortar, but there were other benefits too: the ability to scale up and down as necessary, with team sizes oscillating from one to 13 depending on project requirements. 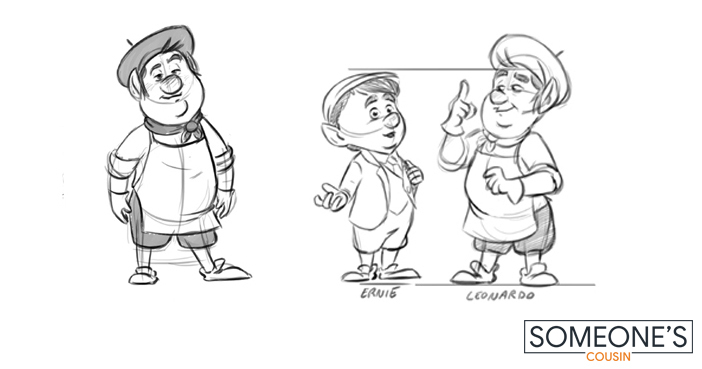 With Johnson’s expertise and the flexibility of Someone’s Cousin, the studio was perfectly positioned to tackle challenges like that presented by Keebler. For those not in the know, lore has it that Keebler don’t make cookies. 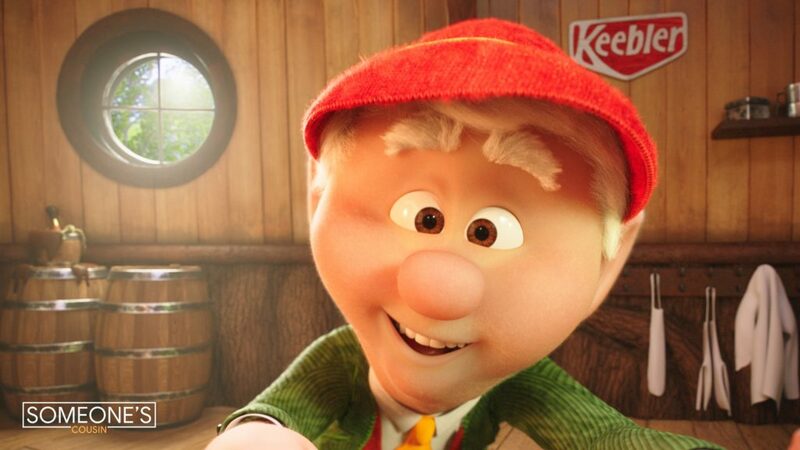 The Keebler Elves make Keebler cookies. To shed some light on this magical process, Someone’s Cousin was hired to modernize the elves, but also the cookie creation process and environment where these fantastical beings thrive. Someone’s Cousin needed to animate a tiny, imaginary kingdom of elves joyfully going about their business, interacting with one another and their environment. 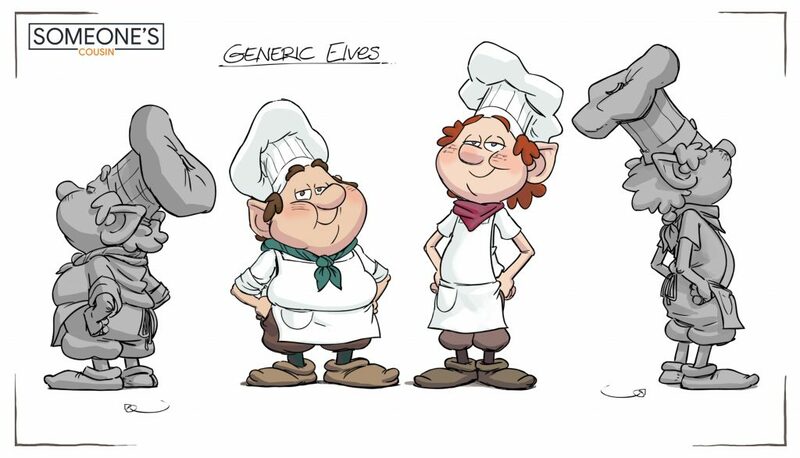 As the Keebler Elf world has lived and breathed for some 50 years, the work was about more than just creating something fun: Someone’s Cousin needed to respect art direction that had been established long before some members of the team were even born. Leonardo would become Johnson’s biggest challenge on this project. 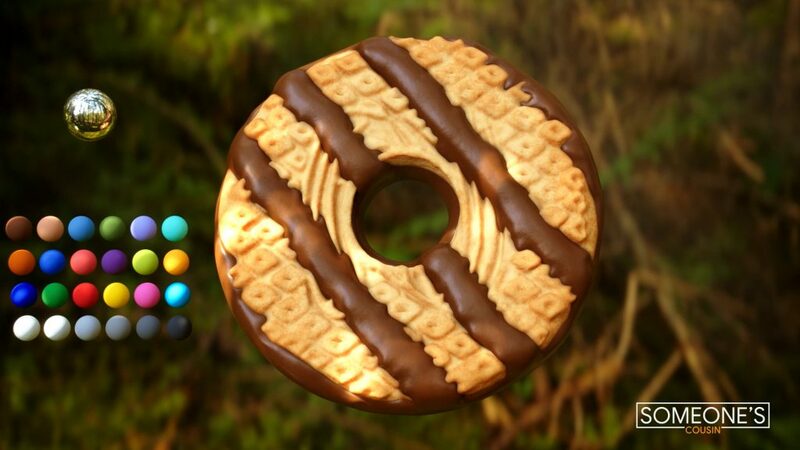 As the chocolate cookie painter, Leonardo had only ever featured in illustrations or 2D animation some three decades ago. This meant Johnson and his team had the responsibility of effectively designing this confectionery connoisseur from scratch. The process required a very flexible and open dialogue with Keebler, ensuring the remote Someone’s Cousin team did the elf lore justice. “The work went through so many versions so often – and that’s exactly where being able to annotate within Frankie and collaborate with the client became invaluable,” says Johnson. 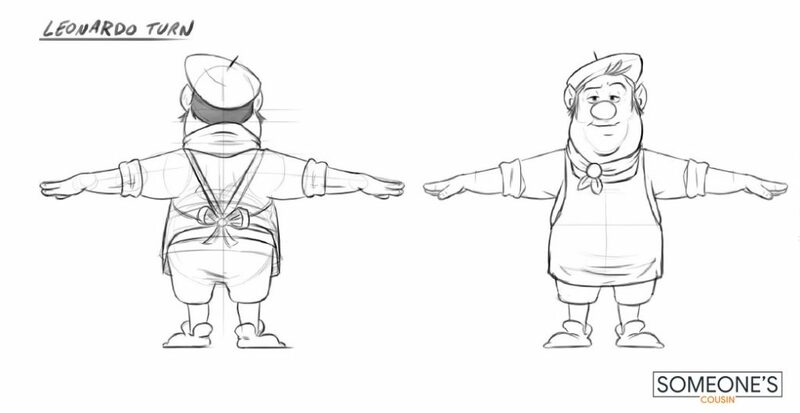 Frankie opened a constant channel of communication with Keebler, empowering the remote team at Someone’s Cousin to approach the CG recreation of the world, its inhabitants, the atmosphere, and every single element – down to the colour and grain of the wood used for the furniture – while ensuring all updates remained completely on-brand. The Keebler project, while an exciting opportunity, was also one of Johnson’s most demanding in terms of budgeting, resource allocation and deadlines. From award to finish, the project was due in just six weeks, which meant the studio needed to maximise the time spent talking to Keebler and communicating with the wider team. Frankie made sure that happened as efficiently as possible. Before discovering Frankie, Johnson and Someone’s Cousin endured a far more arduous sign-off process. “Initially I used Dropbox. As a new company I wanted to see where it was best to invest in our website for hosting these kinds of things. The client would download the content and send notes back. In this long-winded process, I’d often have to remind them to add timecodes to their comments and ask for more specific notes around their feedback, and so on and so forth. When I discovered Frankie I just dismissed that part of our development all together. We use Frankie exclusively for all our postings and approvals. Someone’s Cousin’s processes have been streamlined using Frankie: it fits naturally within the remote studio model, ensuring all involved understand the exact creative vision and what needs to be done next to deliver upon it. “Frankie is also great when working with our artists internally,” says Johnson. “I can jump on a session with them, visualise what needs to be done on a project, save a PDF, and distribute it. I can then send a client-facing copy to the customer to manage expectation. “Working with Frankie is easy and intuitive, and is a great addition to our toolset. With Frankie sitting in our toolbelt, Someone’s Cousin can achieve challenging briefs like reimagining a much-loved brand, in six weeks, without ever stepping into the same room. That wasn’t possible even a few short years back.